Concreting jobs can go from pouring a new driveway right up to helping construct a 50-storey tower. Which is why we build a range of cab-chassis models designed for various barrel sizes and applications. No matter the model you choose, you can be sure it will come standard with Isuzu’s famous reliability. So you’ll spend more time on the job than waiting at a workshop. 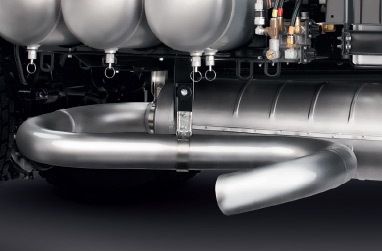 Our 8x4 and 10x4 Agitator models boast one of Isuzu’s most proven engines, the 9.8-litre 6UZ1, with DOC (Diesel Oxidation Catalyst), reaching peak power of 257kW (345PS) @ 2000rpm and an impressive 1422Nm of torque @ 2000rpm. Both models come fitted with weight saving aluminium wheels and the option of a smaller fuel tank, to maximize your payload. Isuzu’s load-sharing front suspension increases your total gross mass by a tonne, spreading the entire weight evenly across the wheelbase to make loads more manageable. 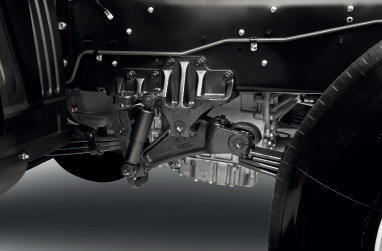 While its unique dampener system gives you a smoother ride and the chassis an easier time. The mighty Allison HD 4430 6-speed auto is standard on both the 8x4 and 10x4. This transmission is tried, tested and tough enough for the rigours of the construction industry. Our ISRI 6860 air-suspension seat, with integrated seatbelt and ‘top rake’ adjustment, means long hours on the job won’t feel quite so long. We also offer cross locks and diff locks for those rough sites. 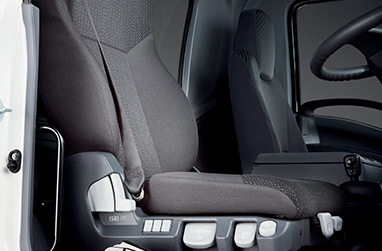 With Isuzu, sharing the load is just as important inside the cabin.